This special 22 pp. 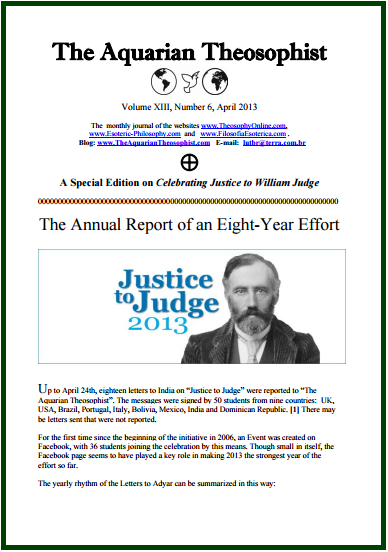 edition is dedicated to the yearly celebration Justice to William Judge. “The Aquarian” reproduces all of the 2013 letters to India and gives the reader a summary of the first Facebook event celebrating Justice to Judge. At the end of present edition one finds the list of new texts published in www.TheosophyOnline.com and its associated websites during the last month.